By 1955, the year I turned 10, I had already been listening to popular music for a couple of years on a small bedside radio my parents had given me. My favorite pop singers were Patti Page and Eddie Fisher, whose soft, staid, melodious songs seemed in tune with the Big Band and swing music of my parents’ generation. The previous year, 1954, a guy named Bill Haley had come out of nowhere onto the popular music scene with “Rock Around the Clock,” which he followed in 1955 with “Shake, Rattle, and Roll.” Haley’s two hits became the centerpiece of my musical world. They were so different: they moved, they jumped – they rocked and they rolled! – in a way that resembled nothing I had heard from Page, Fisher and their counterparts. The term “rock ‘n roll” was already in use in 1955 to describe the new style that Haley’s songs represented. But “Rock Around the Clock” and “Shake, Rattle, and Roll” were not the only hit tunes I listened to that year that seemed light years apart from what I had been familiar with. There was Ray Charles, with “I Got a Woman;” Chuck Berry with “Maybelline;” and, most exotic of all, a man named Richard Penniman, known in the record world as “Little Richard,” rose to fame with a song titled “Tutti Frutti.” What I didn’t realize then was that Charles, Berry and Penniman were African-Americans, whereas Haley was a white guy, and that Charles and his counterparts were bringing their brand of popular music, then officially called “rhythm and blues” (and more colloquially “R & B”) into the popular music mainstream on a massive scale for white listeners like me. Within a decade after that breakthrough year of 1955, “soul music” had largely supplanted “rhythm and blues” as the term of choice to refer to African-American popular music. Also listening to Charles, Berry and Penniman in 1955 were two African-American teenagers from the American South, both born in 1941, both named for their fathers: Otis Redding, Jr., and Wilson Pickett, Jr. Redding was from Macon, Georgia (as was “Little Richard” Penniman). Pickett was from rural Alabama, but lived a substantial part of his adolescence with his father in Detroit. Each had already shown talent for gospel singing, which was then becoming a familiar pathway for African-Americans into secular rhythm and blues, and thus into the burgeoning world of popular music. A decade later, the two found themselves near the top of a staggering alignment of talent in the popular music world. As I look back at the period that began in 1955 and ended around 1970, I now see a golden era of American popular music. It saw the rise of Elvis Presley, the Beatles, the Rolling Stones, and Bob Dylan, along with oh so many stellar practitioners of that “sweet soul music,” to borrow from the title of a 1967 hit which Redding helped develop. Ray Charles, Chuck Berry, and Little Richard Penniman may have jump-started the genre in that pivotal year 1955, but plenty of others were soon competing with these pioneers: Sam Cooke, James Brown (another son of Macon, Georgia), Fats Domino, Marvin Gaye, the Platters, the Temptations, Clyde McPhatter and later Ben E. King and the Drifters, Curtis Mayfield and the Impressions, and Smokey Robinson and the Miracles were among the most prominent male stars, while Aretha Franklin, Mary Wells, Dionne Warwick, the Marvellettes, the Shirelles, Diana Ross and the Supremes, and Martha Reeves and the Vandellas were among the women who left their imprint upon this golden era. But if I had to pick two songs that represented the quintessence of that sweet soul music in this golden era, my choices would be Pickett’s “In the Midnight Hour,” and Redding’s “Sittin’ on the Dock of the Bay,” two songs that to me still define and embody soul music. Two recent biographies seek to capture the men behind these irresistible voices: Jonathan Gould’s Otis Redding: An Unfinished Life, and Tony Fletcher’s In the Midnight Hour: The Life and Soul of Wilson Pickett. Despite Redding and Pickett’s professional successes, their stories are both sad, albeit in different ways. Gould’s title reminds us that Redding died before the end of the golden age, in a plane crash in Wisconsin in December 1967, at age 26, as his career was soaring. Pickett in Fletcher’s account had peaked by the end of the 1960s, with his career thereafter going into a steep downward slide. Through alcohol and drugs, Pickett destroyed himself and several people around him. Most tragically, Pickett physically abused the numerous women in his life. Pickett died in January 2006 at age of 64 of a heart attack, most likely brought about at least in part by years of substance abuse. Popular music stars are rarely like poets, novelists, even politicians who leave an extensive written record of their thoughts and activities. The record for most pop music stars consists primarily of their records. 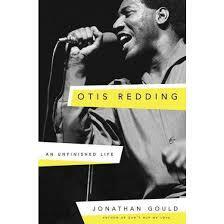 Gould, more handicapped than Fletcher in this regard given Redding’s premature death in 1967, gets around this obstacle by producing a work that is only about one-half Otis Redding biography. The other half of his work provides a textbook overview of African-American music in the United States and its relationship to the condition of African-Americans in the United States. Unlike many of their peers, neither Redding nor Pickett manifested much outward interest in the American Civil Rights movement that was underway as their careers took off and peaked. But the story of African-American singers beginning their careers in the 1950s and rising to prominence in the lucrative world of 1960s pop music cannot be told apart from that movement. At every phase of his story of Otis Redding, Gould reminds readers what was going on in the quest for African-American equality: Rosa Parks and the Montgomery bus boycott, Dr. Martin Luther King’s marches, Civil Rights legislation passed under President Lyndon Johnson, and the rise of Malcolm X’s less accommodating message about how to achieve full equality are all part of Gould’s story, as are the day-to-day indignities that African-American performers endured as they advanced their careers. Fletcher does not ignore this background – no credible biographer of an African-American singer in the ‘50s and ‘60s could – but it is less prominent in his work. More than Fletcher, Gould also links African-American music to African-American history. He treats the role music played for African-Americans in the time of slavery, during Reconstruction, during the Jim Crow era, and into the post-World War II and modern Civil Rights era. Gould’s overview of African-American history through the lens of African-American music alone makes his book worth reading, and may give it particular appeal to readers from outside the United States who know and love American R&B and soul music, but are less familiar with the historical and sociological context in which it emerged. But both writers provide lively, detailed accounts of the 1950s and 1960s musical scene in which Redding and Pickett rose to prominence. Just about every soul music practitioner whom I admired in that era makes an appearance in one or both books. The two books should thus constitute a welcome trip down memory lane for those who still love that sweet soul music. Otis Redding grew up in a home environment far more stable than that of Wilson Pickett. Otis was the fourth child, after three sisters, born to Otis Sr. and his wife Fannie. Otis Sr. had serious health issues, but worked while he could at Robbins Air Force base, just outside Macon, Georgia. Although only minimally educated, Otis Sr. and Fannie saw education as the key to a better future for their children. They were particularly disappointed when Otis Jr. showed little interest in his studies and dropped out of high school at age 15. As an adolescent, Otis Jr. was known as a “big talker and a good talker, someone who could ‘run his mouth’ and hold his own in the endless arguments and verbal contests that constituted a prime form of recreation among people who quite literally didn’t have anything better to talk about” (Gould, p.115; hereafter “G”). Wilson Pickett was one of 11 children born into a family of sharecroppers, barely surviving in the rigidly segregated world of rural Alabama. When Wilson, Jr. was seven, his father took the family to Detroit, Michigan, in search of a better life, and landed a job at Ford Motor Company. But the family came apart during the initial time in Detroit. His mother Lena returned to Alabama, and young Wilson ended up spending time in both places. 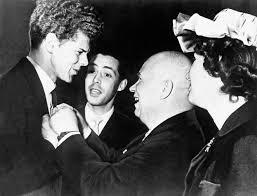 Wilson was subject to harsh discipline at home at the hands of both his mother and his father and grew into an irascible young man, quick to anger and frequently involved as an adolescent in physical altercations with classmates and friends. His irascibility “provoked ever more harsh lashings, and because these still failed to deter him, it created an especially vicious cycle,” Fletcher writes, with the excessive violence Wilson later perpetrated on others representing a “continuation of the way he had been raised” (Fletcher, p.17; hereafter “F”). For a while, Pickett attended Detroit’s Northwestern High School, where future soul singers Mary Wells and Florence Ballard were also students. But Pickett, like Redding, did not finish high school. Both married young. Otis married his childhood sweetheart Zelma Atwood at about the time he should have been graduating from high school, when Zelma was pregnant with their second child. Otis arrived more than an hour late for his wedding. Despite this less-than-promising beginning, he stayed married to Zelma for the remainder of his unfinished life and became a loyal and dedicated father to two additional children. Pickett married his girlfriend Bonnie Covington at age 18, when she too was pregnant. The couple stayed technically married until 1986, but spent little time together. Pickett’s relationships with his numerous additional female partners throughout his adult life all ended badly. Pickett discovered his singing talent through gospel music both in church in rural Alabama and on the streets of Detroit. In the rigidly segregated South, Fletcher explains, the African-American church provided schooling, charity and community, along with an opportunity to listen to and participate in music. Gospel was often the only music that young African-Americans in the 1940s and early 1950s were exposed to. 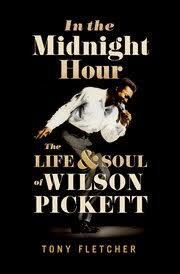 “No surprise, then, that for a young Wilson Pickett, gospel music became everything” (F., p.18). Similarly, it was “all but inevitable that Otis Redding would chose to focus his early musical energies on gospel singing” (G., p.62) at the Baptist Church in Macon which his parents attended. Redding and Pickett in these two accounts had little direct interaction, and although they looked upon one another as rivals as their careers took off, each appears to have had a high degree of respect for the other. But each had a contract with Atlantic Records, and their careers thus followed closely parallel tracks. Based in New York, Atlantic signed and marketed some of the most prominent R & B singers of the late 1950s and early 1960s, including Ray Charles and Aretha Franklin (whose charms were felt by both Redding and Pickett), along with several leading jazz artists and a handful of white singers. By the mid-1960s, Atlantic and its Detroit rival, Berry Gordy’s Motown Records, dominated the R & B sector of American popular music. Both men’s careers benefitted from the creative marketing of Jerry Wexler, who joined Atlantic in 1953 after working for Billboard Magazine (where he had coined the term “rhythm and blues” to replace “race music” as a category for African American music). Atlantic and Wexler cultivated licensing arrangements with smaller recording companies where both Redding and Pickett recorded, including Stax in Memphis, Tennessee, and Fame in Muscle Shoals, Alabama. Redding and Pickett’s relationships with Wexler at Atlantic, and with a colorful cast of characters at Stax and Fame, play a prominent part in the two biographies. But the most affecting business relationship in the two books is that which Redding established with Phil Walden, his primary manger and promoter during his entire career. Walden, a white boy from Macon the same age as Redding, loved popular music of all types and developed a particular interest in the burgeoning rhythm and blues style. Phil initially booked Otis to sing at fraternity parties at all-white Mercer University in Macon, where he was a student, and somehow the two young men from different worlds within the same hometown bonded. Gould uses the improbable Redding-Walden relationship to illustrate how complex black-white relationships could be in the segregated South, and how the two young men navigated these complexities to their mutual benefit. In 1965, Pickett produced his first hit, “In the Midnight Hour,” “perhaps the song most emblematic of the whole southern soul era” (F., p.74). The song appealed to the same white audiences that were listening the Beatles, the Rolling Stones and the other British invasion bands. It was “probably the first southern soul recording to have such an effect on such a young white audience,” Fletcher writes, “yet it was every bit an authentic rhythm and blues record too, the rare kind of single that appealed to everyone without compromising” (F., p.76). Pickett had had three major hits the following year, 1966: “634-5789,” “Land of 1,000 Dances,” and “Mustang Sally.” The first two rose to #1 on the R & B charts. Although “634-5789” was in Fletcher’s terms a “blatant rip-off” of the Marvellettes’ “Beechwood 4-5789” and the “closest Pickett would ever come to sounding like part of Motown” (F., p.80), it surpassed “In the Midnight Hour” in sales. In 1968, Pickett turned the Beatles’ “Hey Jude” into his own hit. He also made an eye-opening trip to the newly independent African nation of Ghana, as part of a “Soul to Soul” group that included Ike and Tina Turner and Roberta Flack. Pickett’s “In the Midnight Hour” worked the 100,000 plus crowd into a frenzy, Fletcher recounts. Pickett was the “ticket that everyone wanted to see” (F., p.169) and his performance in Ghana may have marked his career’s high point (although the tour included an embarassing low point when Pickett and Ike Turner got into a fight over dressing room priorities). “Dock of the Bay,” the song most closely identified with Otis Redding, was released in 1968, and became the only posthumous number one hit in American music history. At the time of his death in late 1967, Redding had firmly established his reputation with a remarkable string of hits characterized by powerful emotion and depth of voice: “Try a Little Tenderness,” “These Arms of Mine,” “Pain in My Heart,” “Mr. Pitiful,” and “I’ve Been Loving You Too Long.” Like Pickett’s “Hey Jude,” a Beatles’ hit, Redding also “covered,” to use the music industry term, the Rolling Stones’ signature hit, “Satisfaction,” with his own idiosyncratic version. Pickett’s “Hey Jude,” and Redding’s “Satisfaction,” the two authors note, deftly reversed a trend in popular music, in which for years white singers had freely appropriated African-American singers’ work. Gould begins his book with what proved to be the high water mark of Redding’s career, his performance at the Monterey Pop Festival in June 1967. There, he mesmerized the mostly white audience – “footloose college students, college dropouts, teenaged runaways, and ‘flower children’” (G., p.1) – with an electrifying five-song performance, “song for song and note for note, the greatest performance of his career” (G., p.412). The audience, which had come to hear the Jefferson Airplane, Janis Joplin and Jimi Hendrix, rewarded Redding with an uninterrupted 10 minute standing ovation. After Monterey, Redding developed throat problems that required surgery. During his recuperation, he developed “Dock of the Bay.” Gould sees affinities in the song to the Beatles’ “A Day in the Life.” Otis was seeking a new form of musical identity, Gould contends, becoming more philosophical and introspective, “shedding his usual persona of self-assurance and self-assertion in order to convey the uncertainty and ambivalence of life as it is actually lived”(G. p.447). 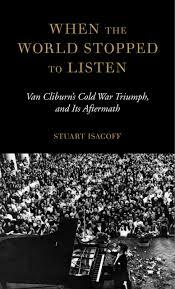 Redding’s premature death, Gould writes, “inspired an outpouring of publicity that far exceeded the sum of what was written about him during his life” (G., p.444). Both writers quote Jerry Wexler’s eulogy: Otis was a “natural prince . . . When you were with him he communicated love and a tremendous faith in human possibility, a promise that great and happy events were coming” (G., p.438; F., p.126). There is a tinge of envy in Fletcher’s observation that Otis’ musical reputation remained “untarnished – preserved at its peak by his early death” (F., p.126). Pickett’s story is quite the opposite. Although he had a couple of mid-level hits in the 1970s, Pickett’s life entered into its own long, slow but steady demise in the years following Redding’s death. Pickett drank excessively while becoming a regular cocaine consumer during these years. His father had struggled with alcohol, and Pickett exhibited all the signs of severe alcoholism, including heavy morning drinking. Fletcher describes painful instances of domestic violence perpetrated against each of the women with whom Pickett lived. He was the subject of numerous civil complaints and served some jail time for domestic violence offenses. Of course, Redding might have gone into a decline as abrupt as that of Pickett had he lived longer; his career might have plateaued and edged into mediocrity, like Pickett’s; and his personal life might have become as messy as Pickett’s. We’ll never know. Pickett was far from the only star whose best songs were behind him as the 1970s dawned. Elvis comes immediately to mind, but the same could be said of the Beatles and the Rolling Stones. Barry Gordy moved his Motown operation from Detroit to Los Angeles in 1972, where it never recaptured the spark it had enjoyed . . . in Motown. By 1970, a harder form of rock, intertwined with the psychedelic drug culture, was in competition with that sweet soul music. The 1960s may have been a turbulent decade but the popular music trends that began in 1955 and culminated in that decade were, as Gould aptly puts it, “graced by the talents of an incomparable generation of African-American singers” (G., p.465). The biographies of Otis Redding and Wilson Pickett take us deeply into those times and its unsurpassed music. It was fun while it lasted.